For decades, the emirate’s tourism marketing strategy was focussed on luxury resorts and high-end shopping. But the CEO of Dubai’s tourism promotion body, Issam Kazim, says ‘bling’ is no longer the way to attract 20 million visitors by 2020. The man in charge of marketing Dubai to the world says he is changing tack. The emirate’s glitzy side with its sleek restaurants, high-end hotels and luxury shopping malls is no longer the main draw for tourists. Instead, they want to experience the ‘real’ Dubai and how its residents live. “People are moving away from being interested in glossy images of staged dots and choreographed poses [of holidaymakers] and are more interested in real content. 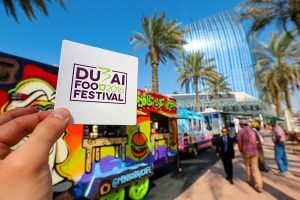 Real people enjoying real things in Dubai,” says Issam Kazim, CEO of the Dubai Corporation for Tourism and Commerce Marketing (DCTCM). DCTCM was set up in 2014 by Dubai’s tourism authority, Dubai Tourism and Commerce Marketing (DTCM), headed up by Helal Al Marri. DTCM sets the overall tourism framework for the emirate, including its vision to attract 20 million visitors per year by 2020. DCTCM does the branding and promotion to ensure the targets are met. Despite economic headwinds, DCTCM remains on track, Kazim tells Arabian Business. Last month, it reported a record 11 percent year-on-year increase in overnight visitors in the first three months of 2017. Some 14.9 million overnight visitors came to Dubai during 2016, up 5 percent on the previous year, with the biggest source markets being India, Saudi Arabia and the UK. Kazim says Dubai must attract a wider variety of visitors from a broader range of markets to continue momentum. He is targeting a compound annual growth rate (CAGR) of 7-9 percent in the years ahead — the average has been 8 percent since 2014. And he insists the emirate must be repositioned from being a family holiday or expensive city break, to an adventure and culture destination for all ages and budgets. Among the attractions he wants to promote are the emerging art scenes in Dubai Design District (d3) and Alserkal Avenue, the heritage villages and natural landscapes of Hatta, on the border with Oman, and other parts of the UAE, as well as new lifestyle events such as Sole DXB and Dubai Food Festival. In addition, having discovered to his surprise that the number of British tourists visiting Dubai in the scorching hot month of August was on the rise, Kazim is working to position Dubai as a year-round beach destination. Last year’s ‘Summer Value’ campaign, offering tourists dozens of deals on hotels, meals and special events, was a factor in the overall increase in visitors in 2016 and will be replicated this year, he says. “In May 2013, when we unveiled the 2020 strategy, we had just announced we had broken the 10 million international visitor mark for the first time. That was a landmark moment for us and we followed it up with our pledge to double the figure by 2020. “At the time, there was less than seven years to go, it was true Dubai-style ambition, but we were confident we would do it and remain confident now. Considering the global market we were in last year, reaching 14.9 million visitors is something we are very proud of. The 2013 strategy sets out four objectives: doubling the number of overnight tourists; increasing length of stay (Dubai is often perceived as a layover destination because of its connectivity to other parts of the world, and the average length of stay has teetered at around 3.5 days); increasing spend within the emirate, and increasing repeat visitation. DCTCM is now targeting the Commonwealth of Independent States (CIS), Africa and other places in Asia and Europe such as Malaysia, Indonesia and the Nordics. The Netherlands has seen substantial growth, as have Scandinavia and Japan, he claims. The corporation has 20 global offices from which it runs campaigns and develops relationships with local airlines, hospitality firms and tour operators. If one market is suffering, it will tap into a wider demographic from that same market, as well as target new ones with creative strategies. This “diversified” approach has helped the corporation grow visitor numbers despite disruptive events such as the fall in the Russian rouble in 2015. “We anticipated a decline in Russian tourists and quickly activated other markets while staying engaged in Russia because, at the end of the day, it’s an important market for us and we knew it would bounce back,” Kazim says. “During that time we started pushing in China because we knew there was huge potential there, and we started seeing almost double-digit growth in Chinese tourists. Another factor in the growth of Chinese and Russian tourists was the launch of visa-on-arrival for both markets, but Kazim will not say which countries could be added to the list next. In the first quarter of 2017, Western Europe for the first time accounted for the biggest share of visitors (22 percent) ahead of the traditional GCC market (19 percent), while South Asia drove 18 percent of volumes, North and South East Asia drove 11 percent and Russia and the CIS accounted for 7 percent. Russia, with 126,000 visitors, saw a 106 percent annual increase, while the Philippines (12th) with 101,000 visitors saw a 22 percent jump from 2016. The latter’s strong performance is interesting, Kazim notes. With an estimated 700,000 Filipinos in Dubai they represent one of the largest groups of expats and could be instrumental in helping DCTCM promote an authentic ‘Residents’ Dubai’ to prospective tourists. The new Dubai College of Tourism, which launched in April to train up the next generation of hospitality professionals, will aim to encourage expats to become tour operators, he adds. Dubai is often perceived as expensive, yet being able to attract ‘normal’ people as well as the wealthy elite will be crucial. 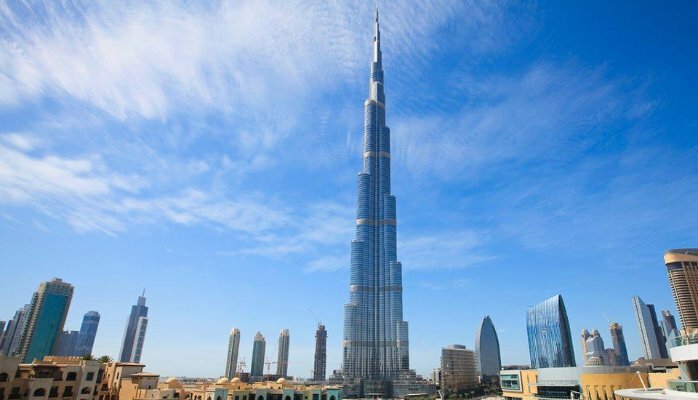 S&P Global Ratings warned in February that an appreciating dollar is making it more expensive for retail tourists, while ongoing uncertainty over Brexit negotiations could dissuade Brits from visiting Dubai. Hotels are viewed as especially costly, and this prompted DCTCM to launch an initiative to increase stock of mid-market hotels by waiving the 10 percent municipality fee on room rates for up to four years from 2013. However, Kazim admits there needs to be a better balance between supply and demand. Dubai had around 70,000 hotel rooms when the strategy launched, compared to 104,000 today and 130,000 including pipeline schemes to 2020, he says. The flipside of increasing supply is that revenues have gone down — the average daily rate (ADR) dropped 6.4 percent year-on-year in the first quarter of 2016, according to consultancy STR. Kazim says he wants to “move away from Dubai being a city you must visit, to a city you must experience”. With his track record, the corporation looks set to reach, and possibly surpass, its targets.